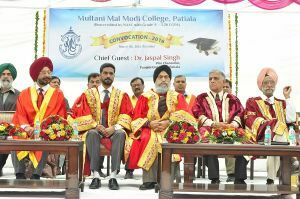 Convocation-2016 was organised at Multani Mal Modi College today. 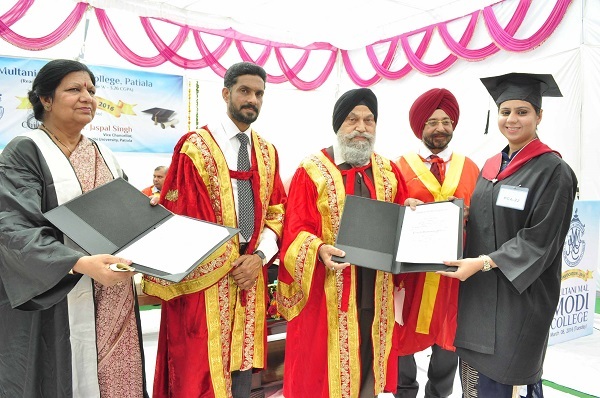 Dr. Jaspal Singh, Vice Chancellor, Punjabi University, Patiala delivered the convocation address and conferred the degrees. 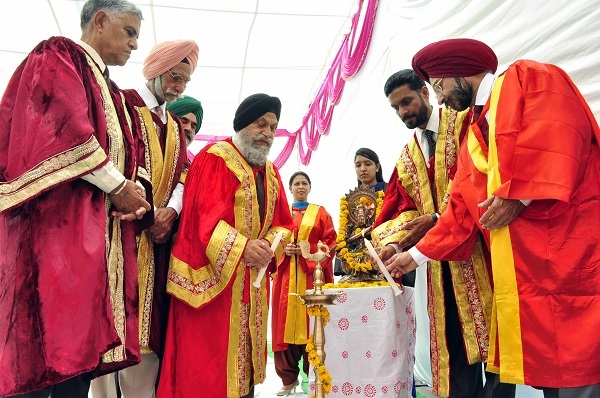 The convocation opened with the welcome address of Dr. Khushvinder Kumar, Principal of the College. He thanked the Chief Guest and presented a brief report of the achievements of the college in academics, sports and co-curricular activities. He said that this convocation is dedicated to the International Women Day. Quoting Swami Vivekananda Dr. Jaspal Singh stressed upon the need to educate women as no country can imagine prospering by keeping half of its population uneducated. He also emphasized that present policy makers should prioritize their projects and ensure that health and education are well taken care of before the induction of bullet trains and setting up of smart cities. 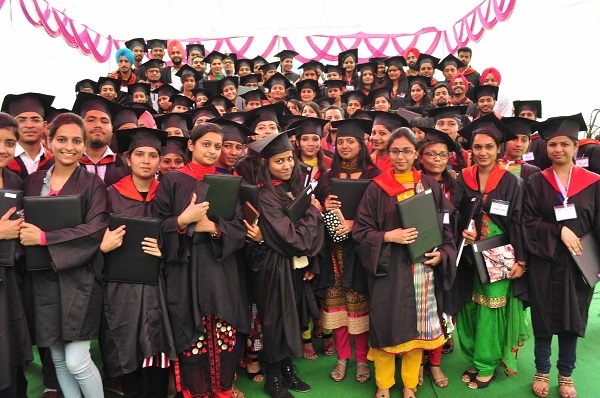 He also stressed upon the need of expansion, equality and excellence in the field of higher education. 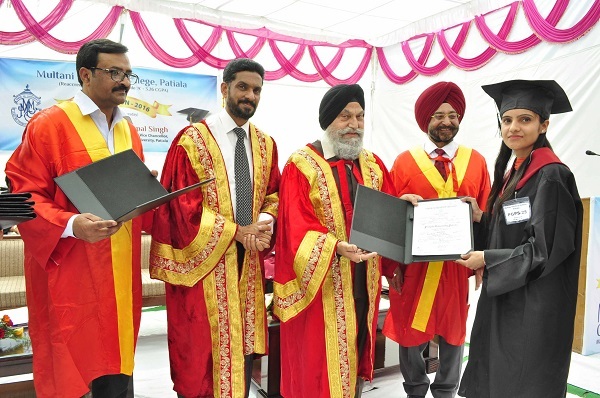 Dr. Harcharan Singh, Registrar of the college, informed that 706 degrees were conferred on the graduates and post graduates in the faculties of Physical Sciences, Commerce, Arts, Life Sciences, Business Management and Computer Science faculties. Shabad Gayan and Saraswati Vandana were presented by the students. 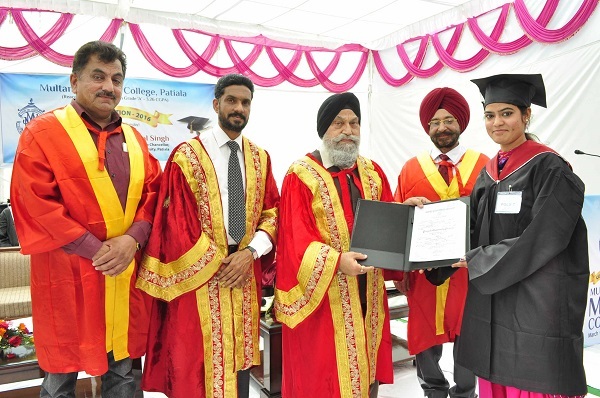 The Chief Guest was felicitated by the college management which was represented by Col. (retd.) Karminder Singh and Prof. Surindra Lal. 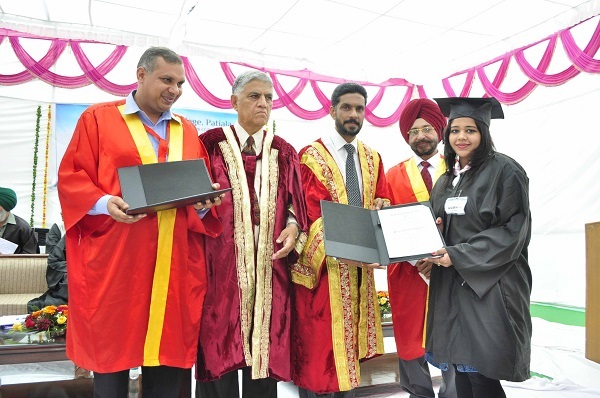 Prof. Nirmal Singh, Prof. (Mrs.) Poonam Malhotra, Dr. Ashwani Sharma, Dr. Rajeev Sharma, Dr. Neeraj Goyal and Prof. Vinay Garg were present on the stage during the ceremony. 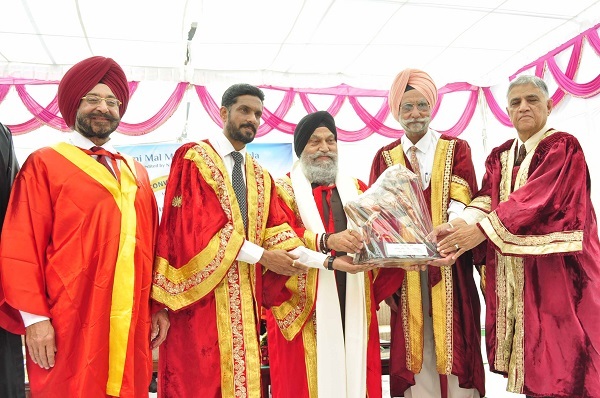 Prof. Balvir Singh, Prof. (Mrs.) Shailendra Sidhu, Dr. Ajit Kumar and Prof. Ganesh Sethi conducted the stage. 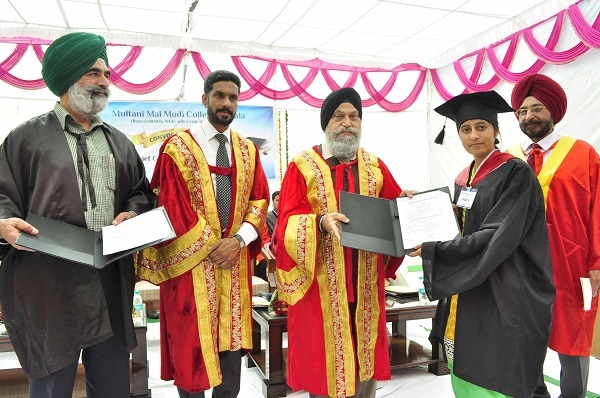 Prof. Nirmal Singh and Dr. Harcharan Singh thanked all the guests and the graduates.